The S-Trip! Code is a guideline to how all travelers should behave on an S-Trip! Program. It's all about respect, friendship, and safety! 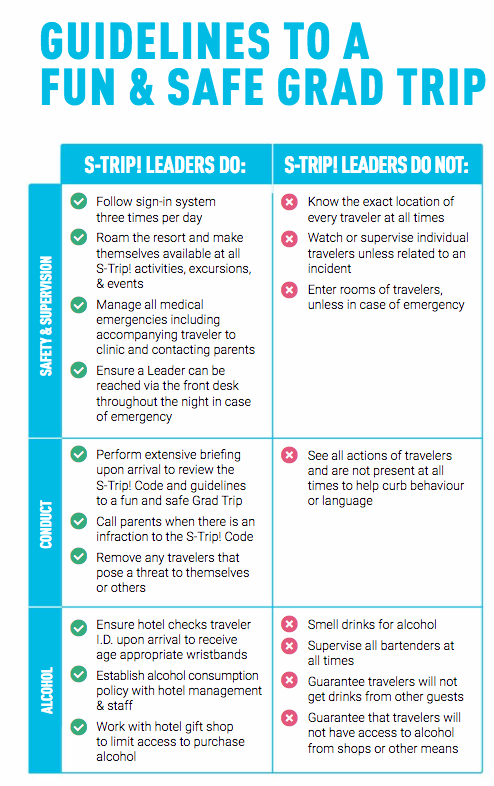 Every traveler and their parent(s)/guardian should sit down and read through the FULL S-Trip! Code together and have a discussion surrounding expectations and behavior while abroad. A signed copy of the code should be brought with the traveler to the start point (airport) and given to the S-Trip! Leader. It can be found in the passengers online profile under the "documents" section or by under Forms on our website, or by clicking one of the PDF links below.